First payment of 30% deposit pay by cash or cheque. Second payment of another 30% deposit pay by cash or cheque 60 days before your booking date. Please pay the adjusted balance (if any) on the same day after the event by Cash. An addition 3% service charge will apply if pay by Visa and Master Card. - 50% of deposit will be refunded within 14 days. 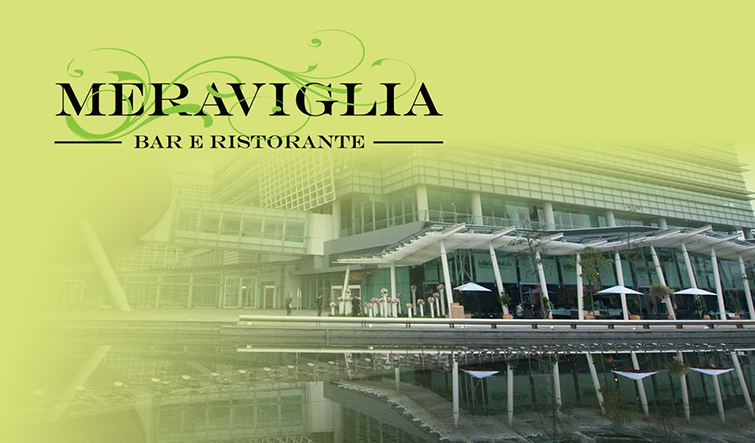 - The remaining of 50% of deposit can be used within 1 year of event date at your restaurant “Meraviglia Bar e Ristorante” for any event. Less than 60 days of event date, No deposit will be refund. -50% of deposit will be refunded in 14 days. - All remaining deposit will be used within 1 year of event date at your restaurant (Meraviglia Bar e Ristorante) for any event. PA system with microphone, AV equipment and LCD TV. This menu is based on 80 people. We accept no more than 5% lesser amount of people. Balance will be adjusted in the final payment. All promotional coupon and VIP cards are not applicable in this menu. Shuttle Bus (60 people) to and From Kowloon Tong Station.